SMFA students interested in arts-in-education have a chance to co-create art curricula with art teachers in Boston Public Schools and host exhibitions at SMFA featuring work created in the classroom. 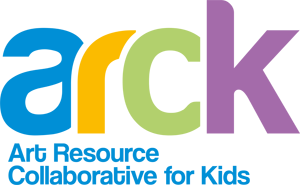 ARCK's mission is to provide Boston Public School students in K-12 with hands-on visual arts experiences, promoting equal access for all children and youth. ARCK is seeking 3-9 SMFA students to intern from September to June in 3 different classes of mixed groups of 5th and 6th graders. Internship dates: September 7, 2012 and continuing through the end of June 2013.